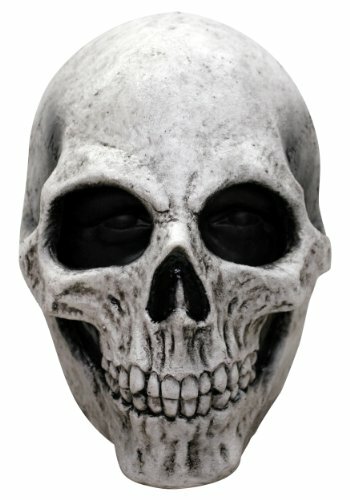 Full over-the-head latex mask of a classic skull. 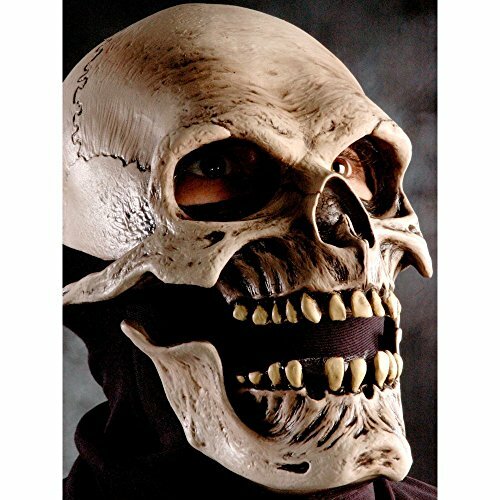 This is a great looking mask with excellent detail. One size fits most. 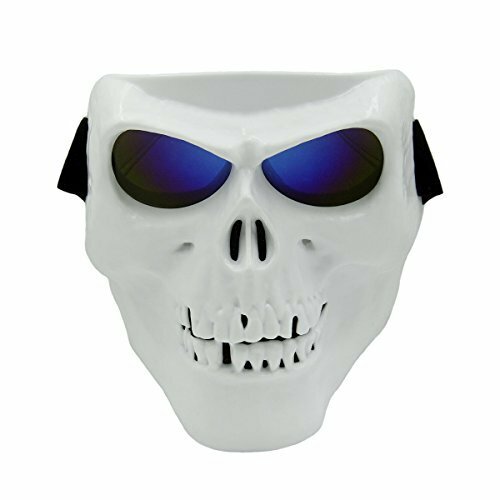 Riding Protective Mask Vhccirt--Committed to design and manufacture personality goggles/glasses for you, and provide you wonderful experience meanwhile! 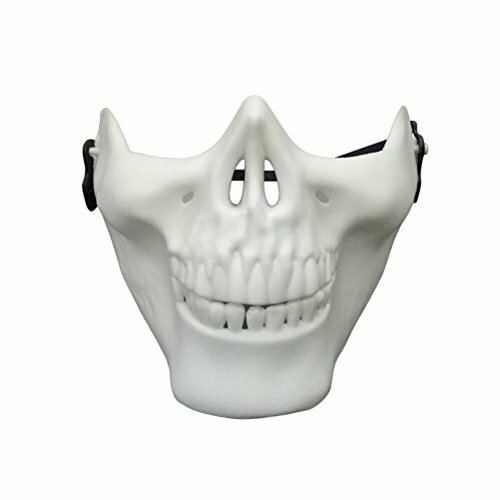 Specifications: Personality Grim Reaper Mask Skiing Goggles For Motorcross Racing,Airsoft sports,snowboard,Party Cosplay. 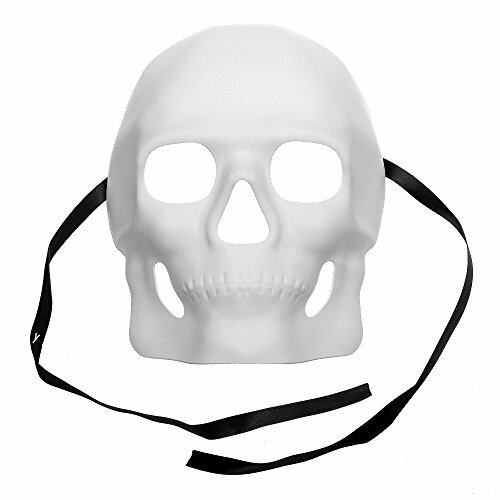 *Material: composite plastic. *Lens material: PC lens polarized goggles. 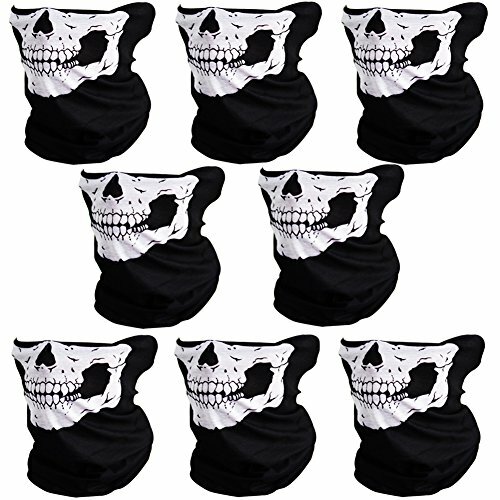 *Design: personality grim reaper face. *Color: black face with yellow membrane/black face with gray lens/white face with blue membrane/white face with gray lens. 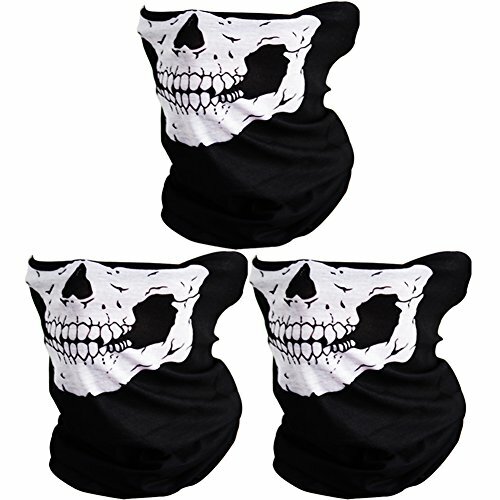 *Inside design: thin sponge cushion inside the mask for ventilation and protecting forehead and nose when riding. 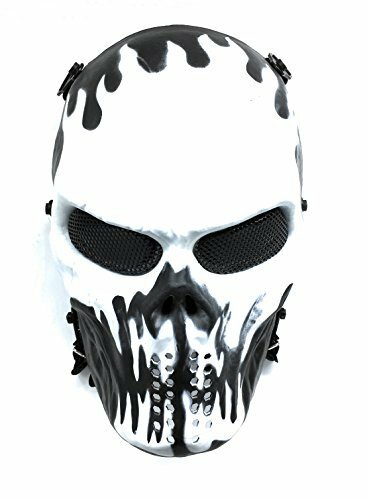 Multiple function: * Helmet mask for Harley racing *Personality mask for skiing *Protective mask for airsoft sports *Grim reaper Cos mask for daily party/animation character Cosplay,etc.